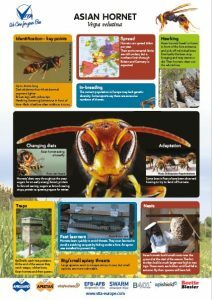 Vita Bee Health has released an infographic about the Asian hornet – it’s free to download from the Vita Gallery. 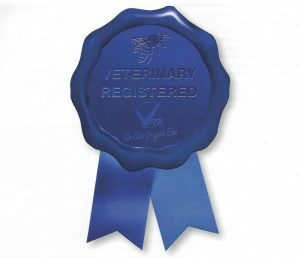 Have you ever considered what goes into the development and registration of a Vita product for honey bees? It’s probably a lot more than you ever realised. 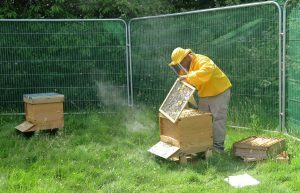 Courtesy of Bee Craft, Britain’s top-selling beekeeping magazine, here’s an article by Sebastian Owen of Vita telling of some of the trials and tribulations of attempting to have a product authorised. It’s all worth while though as purchasers can be assured of a safe, quality product that has been proven to work. 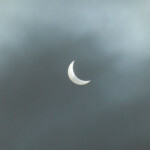 Today, there is a total eclipse of the sun at various times right across the USA from Oregon to South Carolina. Here are some reports of earlier eclipses that we reported on in 2015. Over on Twitter, it’s @VitaBeeHealth too. 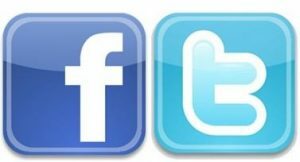 No followers should be affected – new followers should look for the new handles. Despite opening its trials apiary in a Basingstoke allotment late this season, Vita has harvested a crop. 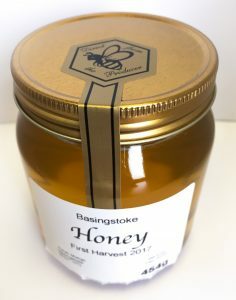 Well, actually it’s two Basingstoke beekeepers who have done the harvesting. 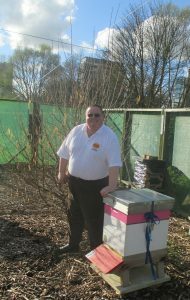 Derek Western, one of the Basingstoke beekeepers, said: “I wasn’t expecting any harvest this year, but we were surprised by one colony. Next year should see a lot more as all colonies will have had a chance to build up and forage for a full season. 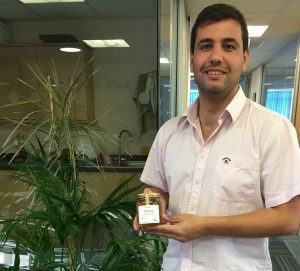 Paulo Mielgo, Vita’s apiarist is sharing the jars amongst the team.